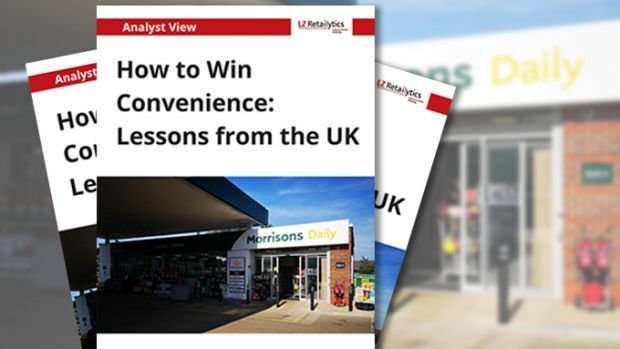 How to win in convenience: what can we learn from the UK, the undoubted paragon of minimarkets? The UK convenience channel, undoubtedly a paragon across Europe, is going through severe changes as competition intensiﬁes. Despite its maturity, the channel is forecast to grow by 3.7% per annum over the next ﬁve years, as it continues to evolve and innovate. A recent wave of consolidation proves an appetite among retailers to achieve scale within convenience; two players now account for two-thirds of stores in our LZ Retailytics minimarkets universe. Retailers are seeking to take greater control of the supply chain through acquiring or building competence in wholesale. Following their European peers, UK retailers have become more open to franchising as a means of expansion, recognising the beneﬁts of lower investment to rapidly achieve scale. As the market continues to expand, the need to diﬀerentiate has never been greater. This is leading to new store concepts, some of which blend elements of other channels within a proximity format. Also, in a bid to win customers, fresh food has become a key battleground, raising standards and creating challenges for smaller players.